Your financial aid can be comprised of a combination of merit scholarships/awards (not based on family financial information) and need-based financial aid from federal, state and/or college financial aid programs. Eligibility for merit scholarships/awards is reviewed based on the information you provide through your admissions application about high school and/or college (if transferring from another college) academic and related achievement(s). Eligibility for need-based financial aid programs is determined by your FAFSA application and other required documentation of your family’s financial information. Cost of Attendance (COA), or the student’s academic year budget, is based on the estimated cost of a typical student's registration fees, books and supplies, room and board, transportation, and personal expenses for a nine–month academic year (fall and spring semesters). These budgets include direct charges by the College and estimates of indirect expenses (transportation, books and supplies, miscellaneous living expenses, etc.). When your FAFSA is processed by the U.S. Department of Education, a formula is applied to the information you provided. Once processed, an Expected Family Contribution or EFC is returned. The EFC is an index of the family’s ability to pay for one year of educational cost and is used by the College to administer federal, state and institutional need-based financial aid programs. Financial need, or financial aid eligibility, is the difference between your Expected Family Contribution (EFC) and the standard Cost of Attendance (COA) calculated for each academic year. Need-based Cedar Crest College Grants are made possible through the generosity of friends and alumnae of the College and vary according to financial need as determined by the FAFSA formula and consideration of other resources. Students must complete the FAFSA to be considered for a Cedar Crest College grant. CCC Grants are available only to full-time traditional students during the regular fall and spring semesters. The Federal Pell Grant is a federal grant awarded on the basis of need and the cost of the individual college. Federal Pell Grants are available to eligible students enrolled for at least three credits per semester and are automatically awarded to qualifying students who have completed the FAFSA and submitted all subsequently requested documentation. These federal grants are awarded in varying amounts to Federal Pell Grant-eligible students with exceptional financial need from low-income families. Since SEOG is a federal allocation, funds are limited. Application is made by completing the FAFSA. This grant is awarded in addition to the Federal Pell Grant. Available to eligible Pennsylvania residents taking at least six credits per semester, PA State Grants are awarded according to demonstrated financial need. Students must complete the FAFSA by the Pennsylvania Higher Education Assistance Agency (PHEAA) PA State Grant Deadline of May 1 to be considered for this grant. PHEAA determines all PA State Grant awards. Students who live outside of Pennsylvania, should contact their state's higher education agency for information on grants available in their state. The following states permit transfer of their educational grants to students attending out-of-state colleges: Delaware, Massachusetts, Ohio, Vermont, West Virginia and the District of Columbia. Federal Perkins Loans are federally funded need-based loans made by Cedar Crest. . The interest rate is fixed at five percent. Funding is limited. Students are eligible to receive up to $3,000 lifetime as an undergraduate at Cedar Crest College. Students make no payments and no interest accrues while enrolled in college. Students must complete the FAFSA to be considered and awards are made through the College’s office of Student Financial Services. Federal Nursing Loans are need-based and limited to nursing students enrolled in NUR courses. The interest rate is fixed at five percent. Funding is limited. Students are eligible to receive up to $3,000 lifetime as an undergraduate at Cedar Crest College. Students must complete the FAFSA to be considered and awards are made through the College’s office of Student Financial Services. An undergraduate student’s eligibility for a Direct Subsidized and/or a Direct Unsubsidized Loan is determined by the results of the FAFSA application. Students who are determined to have financial need qualify for a portion of the loan to be a Direct Subsidized Loan and a minimum of $2,000 of the loan to be a Direct Unsubsidized Loan. Students who do not demonstrate financial need qualify for the entire loan as a Direct Unsubsidized Loan. The student is the borrower for both the Direct Subsidized and Unsubsidized Loan programs, and no credit check is required. Graduate students only qualify for the Direct Unsubsidized Loan Program if they meet all required criteria. For a student to qualify for the Direct Loan Programs the student (both undergraduate and graduate) must be a U.S. citizen or eligible non-citizen, must not be in default on any education loan, must maintain at least half-time enrollment status and make satisfactory academic progress. The federal government pays the interest on the subsidized loan while the student is enrolled at least half-time in school and during a period of deferment (a postponement of loan payments). Only undergraduate students may qualify to borrow through the Direct Subsidized Loan Program. The student borrower is responsible for the interest that accrues on the unsubsidized loan from the date of disbursement. The borrower may make interest payments while in school and during the grace period, or choose to have the interest capitalized. Undergraduate and graduates students may qualify for the Direct Unsubsidized Loan Program. Undergraduate Students: Direct Subsidized and Unsubsidized Loans carry a fixed interest rate of 4.45% for loans first disbursed between July 1, 2017 and June 30, 2018. Graduate Students: Direct Unsubsidized Loans carry a fixed interest rate of 6.00% for loans first disbursed between July 1, 2017 and June 30, 2018. They carry a 1.068% origination fee for loans disbursed before 10/1/2017, loans disbursed after 10/1/2017 will have an origination fee of 1.066%. The Entrance Loan Counseling is an online tutorial that provides you with information about the Federal Direct Student Loan. The counseling is to educate you, as the loan borrower, of your rights and responsibilities. You will be informed of the Direct Loan interest rates, grace period, repayment obligations, delinquency, avoiding default, deferment and forbearance options. Federal regulations require the completion of the Entrance Counseling prior to your Direct Loan disbursement. As a borrower of the Direct Loan, it is a federal regulation to complete the Exit Loan Counseling once you graduate, drop below half-time, or withdraw from Cedar Crest College. The Exit Counseling provides you with information about monthly payments based on a variety of repayment options, borrowing history, and information about your loan servicer. It also revisits repayment options, delinquency, avoiding default, deferment and forbearance options. This is a federal loan made to either parent (or step-parent) of a dependent student. The borrower may apply to borrow an amount up to the student’s cost of attendance (COA) minus financial aid. The interest rate is a fixed rate. For current interest rates and loan fees, visit https://studentloans.gov/. Repayment starts 60 days after the loan is fully disbursed, though deferment is available while the student is enrolled at least half-time. If a parent is determined not to be creditworthy and is denied for this loan, the student is automatically qualified for additional annual Unsubsidized Direct Loan funds of $4,000 for freshmen and sophomores and $5,000 for juniors and seniors. Graduate students may apply for a federal Direct Graduate PLUS Loan up to the cost of attendance for an academic year, less all other grant, scholarship and/or loan resources. The student is the borrower and must be credit-qualified to obtain a federal Direct Graduate PLUS Loan. Students should be certain they have exhausted all other Direct Loan resources prior to applying for a Direct Graduate PLUS Loan. Federal Work Study jobs are awarded based on financial need as determined by the FAFSA application. Students work an average of eight hours per week and are eligible to earn up to a maximum of $1,500 per academic year. Students who qualify for federal work study will be notified as part of their financial aid award and all employment payroll requirements are administered through Student Financial Services. Federal Work Study students are paid monthly by check or direct deposit. Federal Work Study earnings are treated separately from other student income when applying for federal financial aid. Currently enrolled students are eligible to apply for positions through the campus employment program. Campus employment is not part of a student’s financial aid. Current employment opportunities are maintained by the Human Resources office. Earnings through this program are considered regular income for students and are reportable as earned income for tax and financial aid purposes. Students are encouraged to investigate outside scholarship opportunities from hometown civic clubs, high schools, parents’ employers, churches and other organizations. 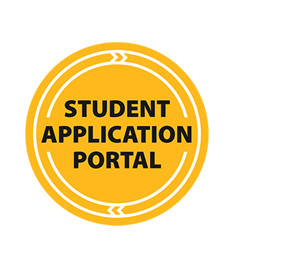 Students are required to notify Student Financial Services and provide written documentation if they receive any outside scholarships, as federal regulations required these to be considered a resource in determining aid eligibility. If adjustments to the aid package are necessary due to outside scholarships, Cedar Crest reduces self-help aid first (student loans) and adjusts grants only if necessary to prevent an over-award. These are consumer education loan for students who have applied for all types of financial aid (grants, scholarships and federal student loans) and are looking to cover a remaining balance up to the cost of education. The student, along with a credit-worthy co-signer, is the borrower for all private educational loan programs. The maximum amount that may be borrowed is the school’s cost of attendance minus any other financial aid. For some loan programs, principal and interest may be deferred while the student is enrolled in school at least half-time. Fees and interest rates for these types of programs vary greatly and depend upon the credit criteria of the borrower (student) and co-signer. There are many private educational loan programs available which have different program features. When selecting a private educational loan, please be sure to carefully research all aspects of the loan program (i.e. loan fees, interest rates, repayment options, etc.). Regardless of the private educational loan program you choose, you will be required to complete a Private Education Loan Applicant Self-Certification form. This form will be supplied by your lender in order for you to acknowledge your understanding of other loan options, including the federal student Direct Loan and federal Direct Parent PLUS Loan options. Federal loan regulations, set by the Department of Education, require a school that chooses to provide a Preferred Lender List to borrowers to disclose their method of selecting the lenders included on their list of suggested lenders. This guide is to provide information to borrowers about the method Cedar Crest College’s Financial Aid Office used to create each year’s Preferred Lender List. does not include lenders that have offered, or have offered in response to a solicitation by the school, financial or other benefits to the school in exchange for inclusion on the list or any promise that a certain number of loan applications will be sent to the lender by the school or its students" (U.S. Department of Education, 2007). Why does Cedar Crest College provide students with a Preferred Lender List? It provides a comparison of selected lenders in relatively consistent terms, reducing confusion and assisting borrowers and their families in making the best-informed decisions. The information was reviewed and evaluated by the Student Financial Services staff members with the goal of selecting the lenders that best served the borrowing needs of Cedar Crest College students. Cedar Crest College does not participate in any revenue-sharing arrangements with any lender. Cedar Crest College does not permit any officer, employee or agent of the College who is employed in the financial aid office or is otherwise involved in the administration of education loans to accept any gifts of greater than a nominal value from any lender, guarantor, or servicer. Cedar Crest College does not permit any officer, employee or agent of the College who is employed in the financial aid office or is otherwise involved in the administration of education loans to accept any fee, payment, or other financial benefit (including a stock purchase option) from a lender or affiliate of a lender as compensation for any type of consulting arrangement or contract to provide services to a lender or on behalf of a lender relating education loans. 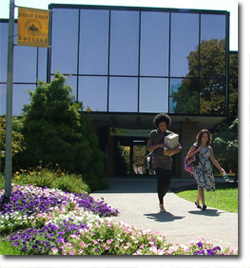 Cedar Crest College does not permit any officer, employee or agent of the school who is employed in the financial aid office or is otherwise involved in the administration of education loans to accept anything of value from a lender, guarantor, or group of lenders and/or guarantors in exchange for service on an advisory board, commission or other group established by such a lender, guarantor, group of lenders and/or guarantors. Cedar Crest College does allow for the reasonable reimbursement of expenses associated with participation in such boards, commissions or groups by lenders, guarantors, or groups of lenders and/or guarantors. Cedar Crest College recognizes that a borrower has the right to choose any lender from which to borrow to finance his/her education. Cedar Crest College will not refuse to certify or otherwise deny or delay certification of a loan based on the borrower's selection of a lender and/or guarantor. Cedar Crest College will not request or accept any assistance with call center or financial aid office staffing.